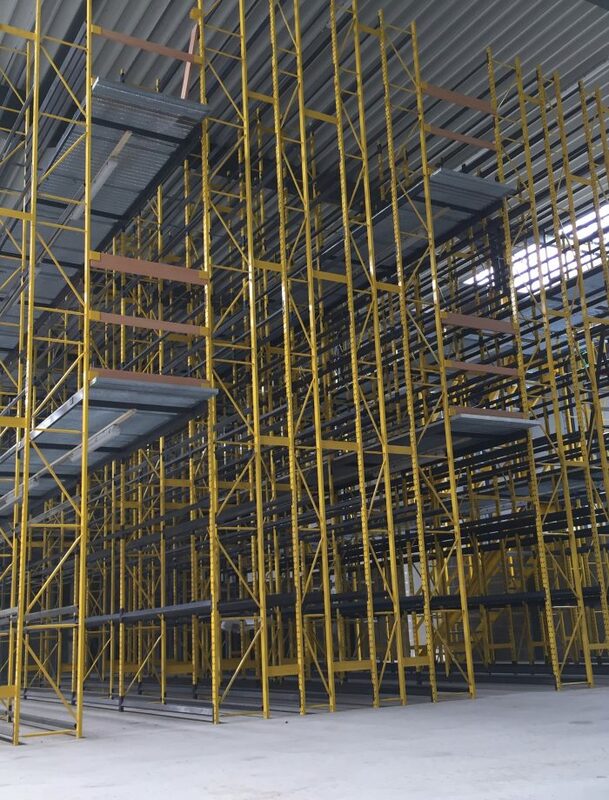 Our customer was looking for a specific solution to his storage problem. 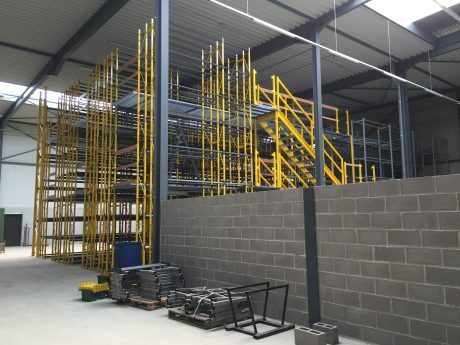 By thinking with our customer and our many years of experience, we at Europe Racking offered our customer a customized solution that met all his wishes. 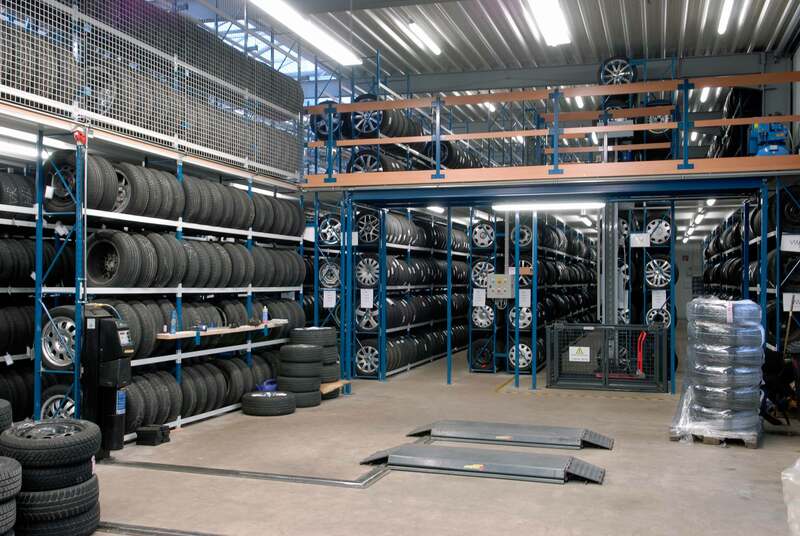 A mechanic shop in Denmark was looking for a specific solution to make full use of its limited storage space. 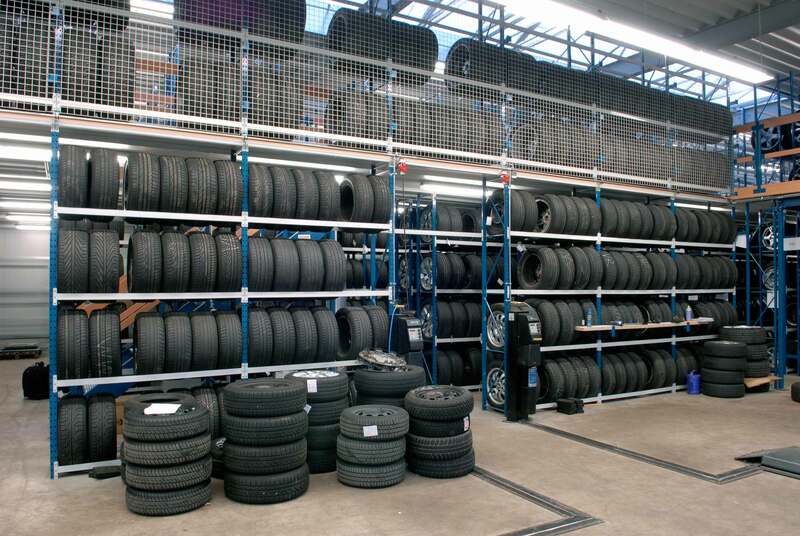 Despite the limited storage space, he wanted to offer his customers a tire storage service. 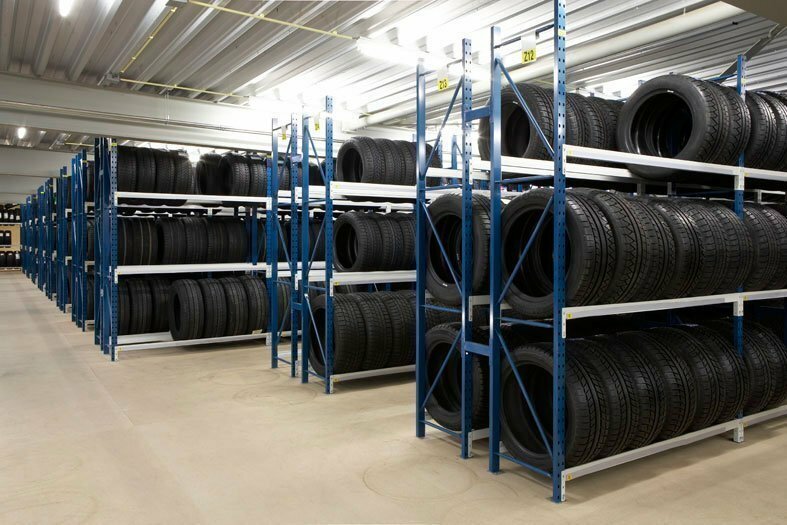 Only by utilizing all areas as efficiently as possible, he could help his customers immediately by increasing his stock, all without long waiting times. 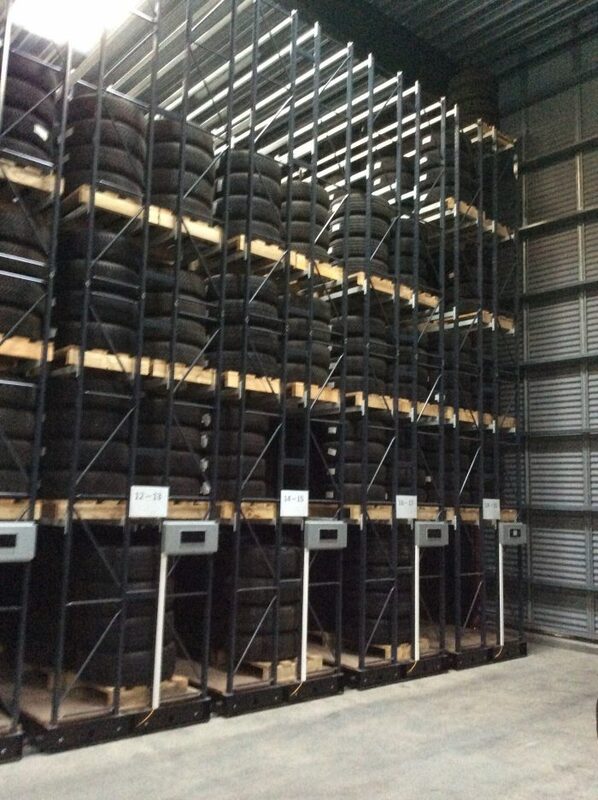 Because of the lack of space using standard fixed tire systems resulted in an excessive loss of storage space. 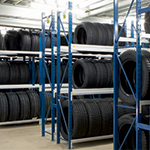 Therefore the tailor-made solution proposed by Europe Racking was a moveable tire storage. 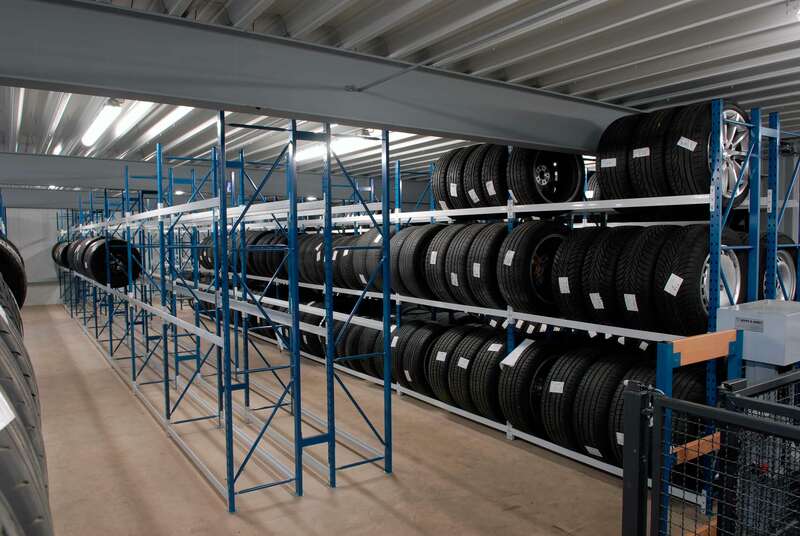 For mobile tire storage, the frames are mounted on platforms that can be moved over rails in the floor, which means that you only need one aisle. 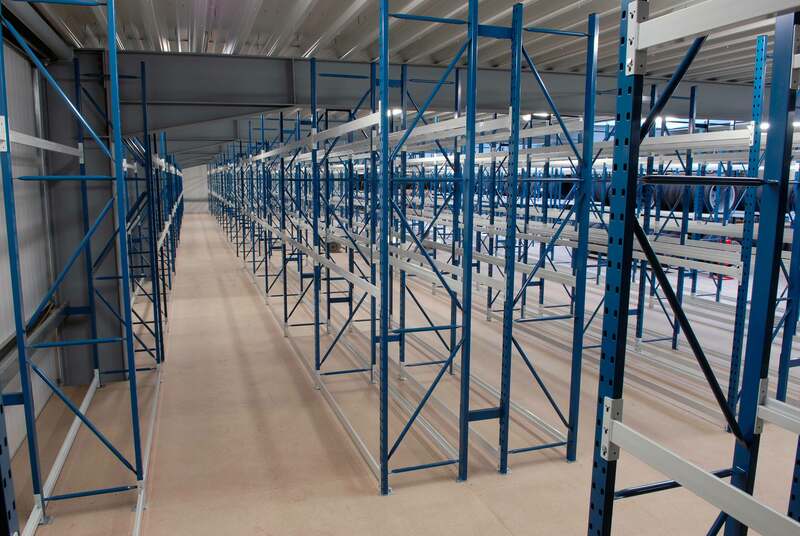 Double deep racking was used per platform. 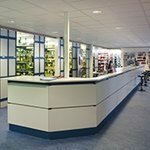 Using these systems together creates extra profit in space which, of course, also increases profitability. 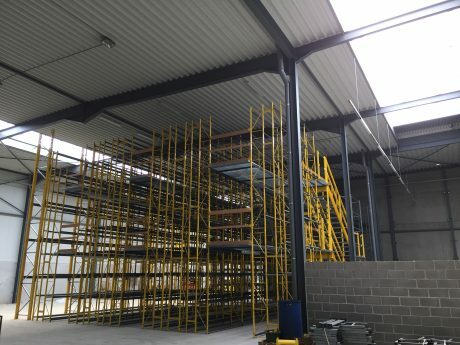 Depending on the space and wishes of the customer, this construction can consist of one-storey or multi-storey racking. 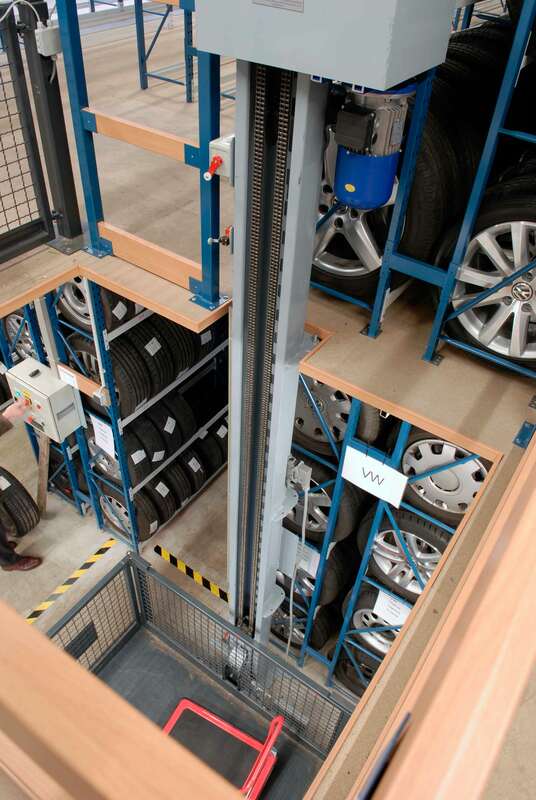 You can choose for manual or electrically driven platforms. 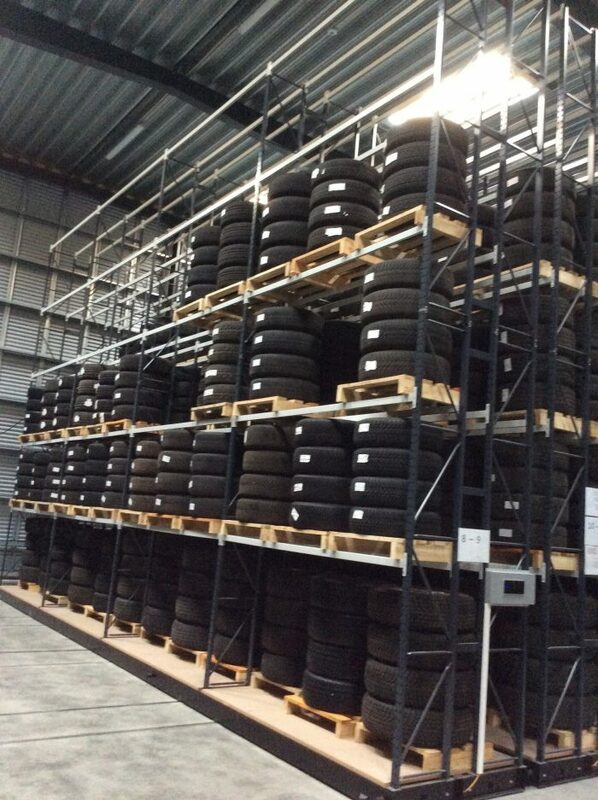 From an ergonomic point of view, we also suggested to the customer to use wooden pallets to store sets of 4 tires on top of each other. 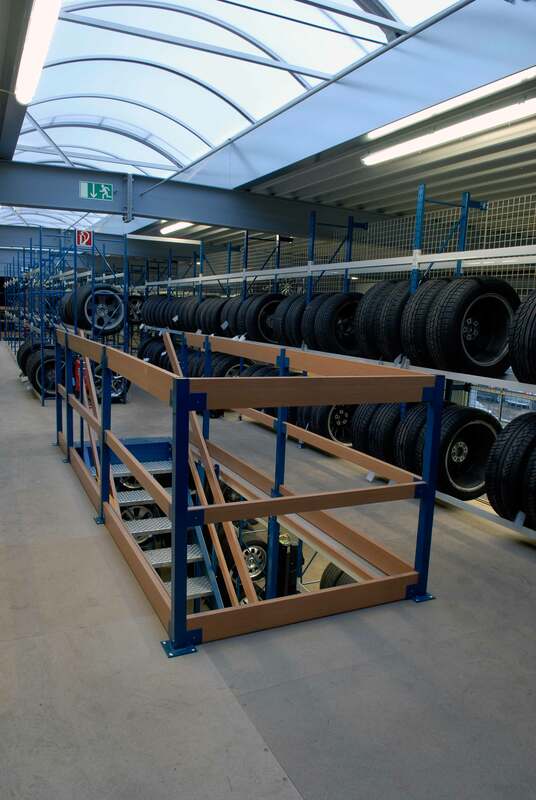 These wooden pallets combined with a modified forklift truck with a very small turning circle will put less strain on the people working in the warehouse when loading and unloading the tires. 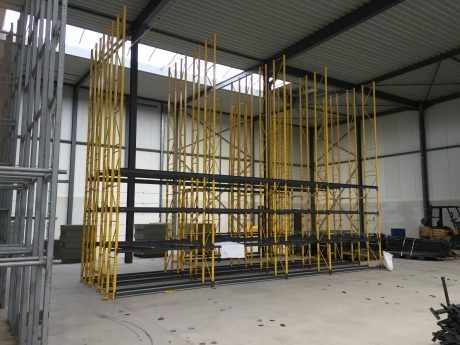 By providing this forklift with a camera on the forks and a screen in the cabin, the driver can easily handle the truck at a height of 6 meters, ensuring both worker safety and preventing unnecessary damage to the racking. 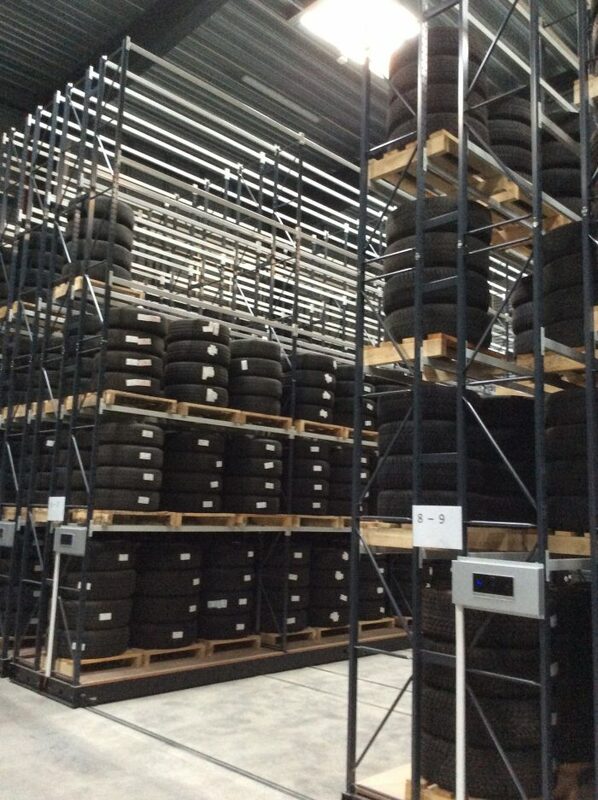 Our tire racking was also delivered here in the same dark gray color as the mobile platforms. As a result, all systems formed a beautiful coherent whole. 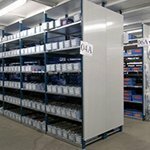 We at Europe Racking are pleased that we could offer our customers a customized solution for their storage problem. 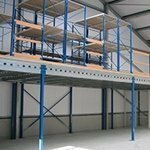 We would like to thank him for the excellent cooperation and wish him great success in the future!